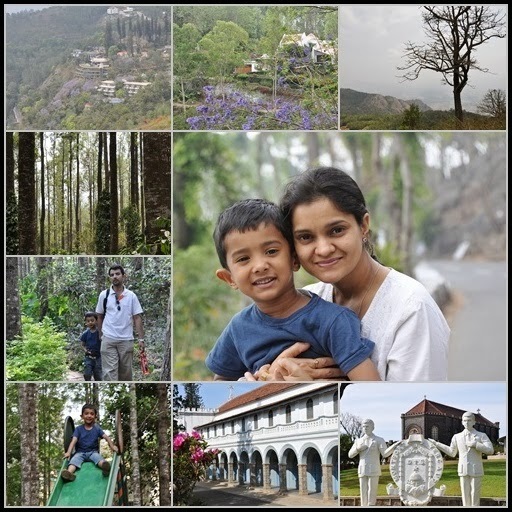 Now after a short break around Anandhama we pushed for Yercaud as it gave us a perfect destination of little bit driving and get away from Bangalore heat. We did not booked any hotel as we kept everything for last minute. So on the D’day we left basement parking around 5AM to avoid Bangalore traffic.And we did hate to navigate rush escaping traffics from Bangalore. We stopped for a quick stop after crossing Tamilnadu border to fill the tank and realized somehow fuel tank release was not working. After playing with screwdrivers it finally opened which was a great relief otherwise we would have to wait till 9/10 for a mechanic. As usual stopped at A2B before Krishnagiri for Breakfast.We crossed Salem town and took the road to Yercaud. Soon we were on the hill road which gain altitude quite quickly with many twist and 20 sharp hairpins bends. But driving these 32 KM was fun, The first hotel we enquired for accommodation was GRT but the price they were offering on spot was bit steep for our budget. Bit disappointed there as last night when we checked the same on internet it was showing quite low with discount. May be the GRT guys will save those offers for late comers as days come to end. Next we tried Shevaroys resort near lake and decided to stay there for the night. This is an old landmark resort in Yercaud. The place is a decent one but would recommend you check on internet before deciding on this. We wanted to visited the famous Botanical Garden but it was closed due to weekend (what a weird place who keeps their top destination closed for tourist). May be they do not want any visitors ?. We drove towards Servarayan temple and Cauvery Point road. On the way Aarush fell asleep and we went to Pagoda point. Pagoda gives a nice view of the plain below. From there we went to Lady's Seat & Gent's Seat .Here, we could see the ghat road from Salem via which we reached Yercaud. We also got the ariel view of GRT hotel. Next to this was Horticulture Farm and it has Rose graden. There was not a single rose as they were freshly trimmed so we have to make ourselfves happy with other green beauties. We came to hotel and it was around 15:00 and went straight for a very late lunch and by this time Aarush also woke up. After lunch we went for a small plantation walk within the resort which is pretty nice. Aarush had some fun time in the children's play area. Finally, we entered room; got freshen up & took a beauty sleep and had an early dinner same evening. Next day, we went for a morning walk around lake before breakfast and after breakfast we visited famous Montfort School. This school was started for anglo-indians around WW-I. The architecture and natural beauty around it is really worth spending some time there. It is a one of the convent residential institution in South India. The school was having admissions test on that day and we could only spot expensive cars and anxious parents who were dressed in their best. After that we returned to room and started for Bangalore. On the way we stopped at A2B just after crossing Dharmapuri for lunch. Aaursh was very sleepy but he played role of a cranky child all along. After Hosur, we forced him to sleep and reached home safely in next hour. The NH7 was excellent with many toll plazas which was constantly emptying my wallet ;) so not sure is it the best hill station or not but definitely it did not felt crowded like Coorg.